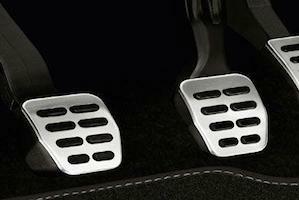 When accelerator pedals get trapped in place by floor mats, mechanical problems and other defects, cars can experience sudden acceleration and brake failure, resulting in serious accidents. Manufacturers have a legal duty to protect the public from these types of defects. Injured Due to a Defective Accelerator? 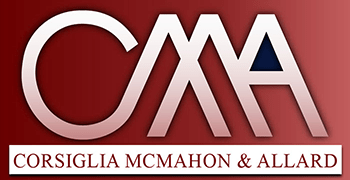 At the San Jose law firm of Corsiglia McMahon & Allard, L.L.P. our accelerator defect lawyers help accident victims pursue fair compensation for their injuries. To set up a free consultation, contact us today at (408) 289-1417. You will not pay a fee unless we help you win your case. We serve injured people in San Jose, Santa Clara, Milpitas, Los Gatos, Gilroy and other Bay Area cities. Notable Case Result: $425,000 against a major automobile manufacturer on behalf of a little girl who sustained a head injury as a result of what was alleged to be negligent design of the rear compartment of a small coupe. Recent publicity about accelerator defects has caused Toyota to recall several model years’ worth of its cars for repairs and modifications. If your accident may have been caused by a defective accelerator pedal in your own car or another vehicle, you need a law firm that is prepared to conduct a thorough investigation. We will work with qualified experts to determine whether an auto defect caused your accident. If so, we will also investigate whether the manufacturer knew about the defect and delayed a recall, which could help you get punitive damages in addition to injury compensation. Even if your car was recalled and you did not take it in for repairs, you may still have a claim. Our experienced personal injury trial attorneys will help you understand your options. Don’t hesitate to contact us today to discuss your case; call (408) 289-1417.